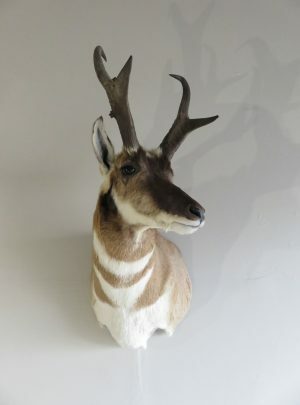 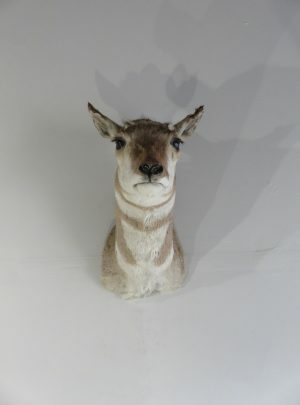 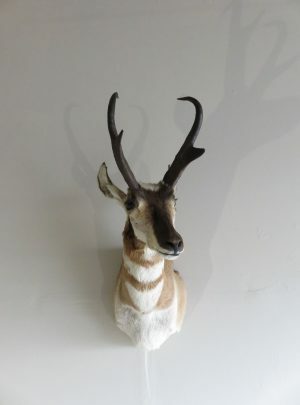 This is a great Western plains Pronghorn antelope buck. He displays a great pose with head up and facing slightly to his left looking into the room. 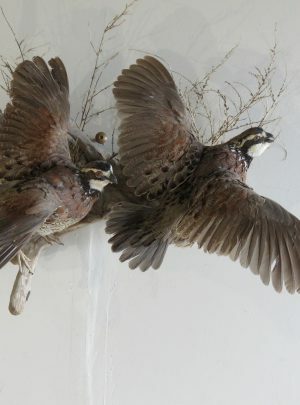 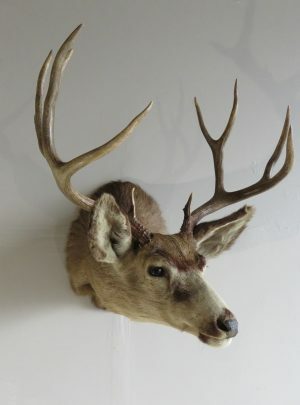 Workmanship is excellent with good details. 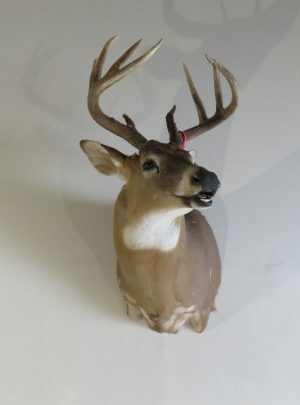 This is a trophy class buck that has horn lengths of over 15 inches. 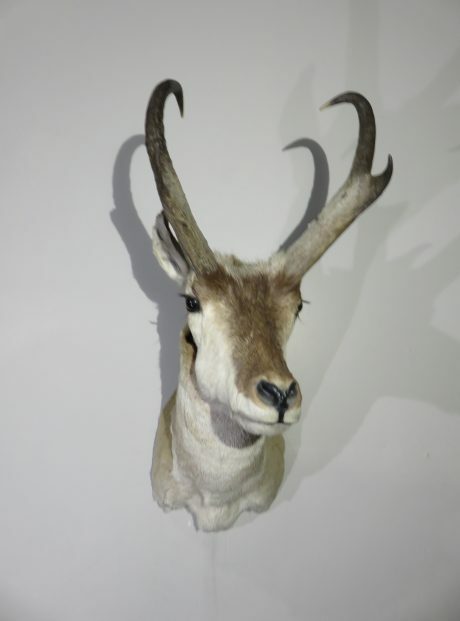 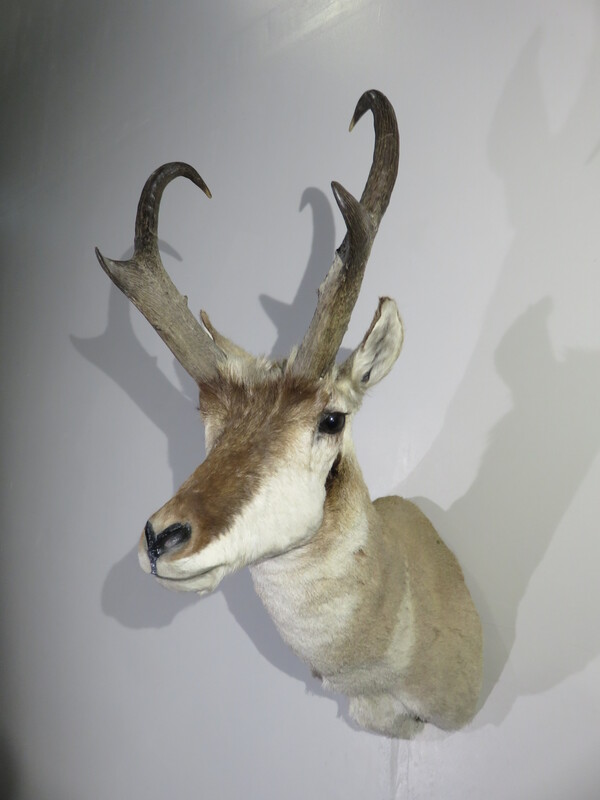 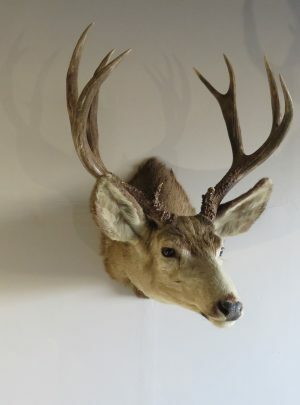 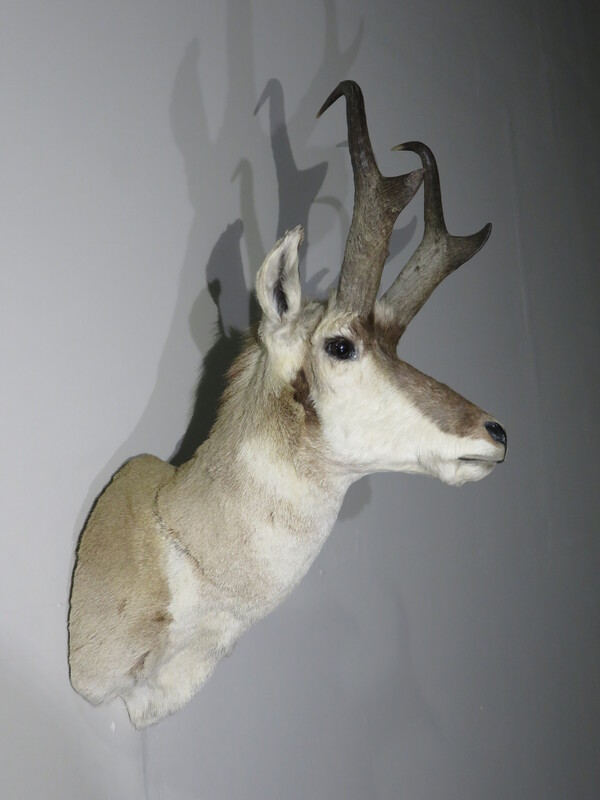 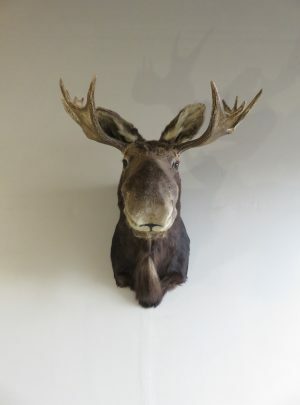 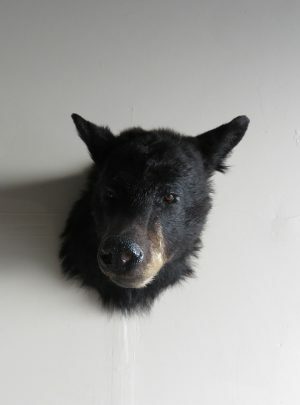 We were able to acquire this buck as part of a collection that had been assembled by a wildlife biologist from the Rocky Mountains. This is in fact a great specimen for a Pronghorn buck. 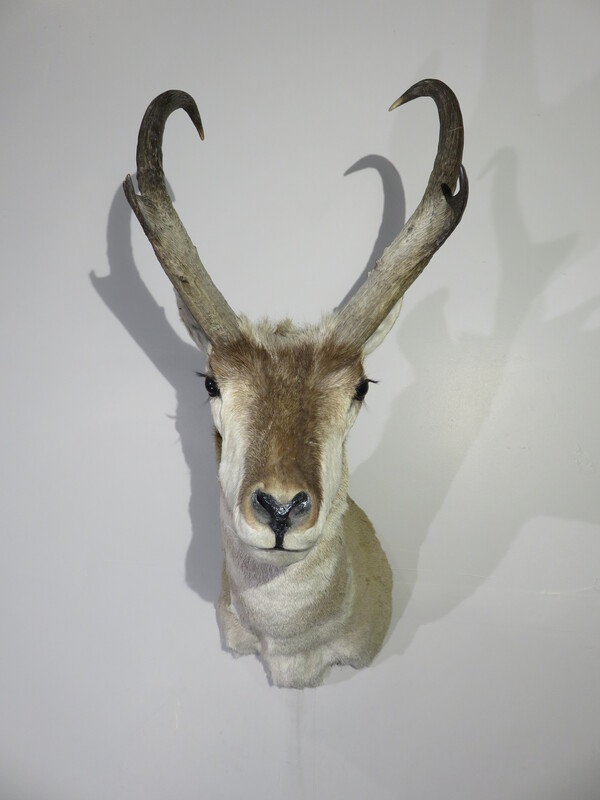 He has horn lengths of 15 2/8″ and 15 5/8″. 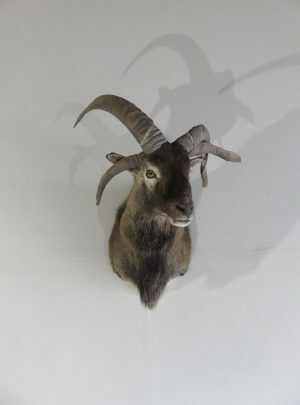 They have an unusual coloring in that they exhibit lighter colored bases to the horns and then are darker toward the “rakers” and the top of the horn. 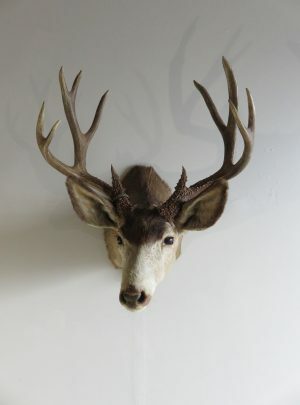 Not a common color pattern, but it does add an interest factor.